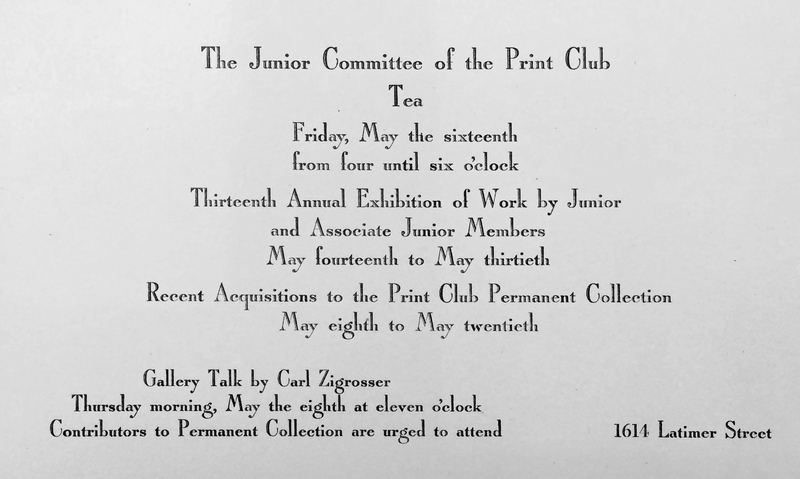 The Print Center was founded as a club, much like its sister organizations The Philadelphia Sketch Club and The Plastic Club. 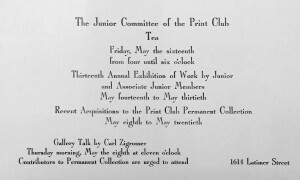 In addition to offering exhibitions, the organization served a social function and was well-known for its afternoon teas, served on silver service, which followed the Philadelphia Orchestra Friday matinee performances. These afternoons included students and faculty from the Museum School (now University of the Arts) as well as society matrons.